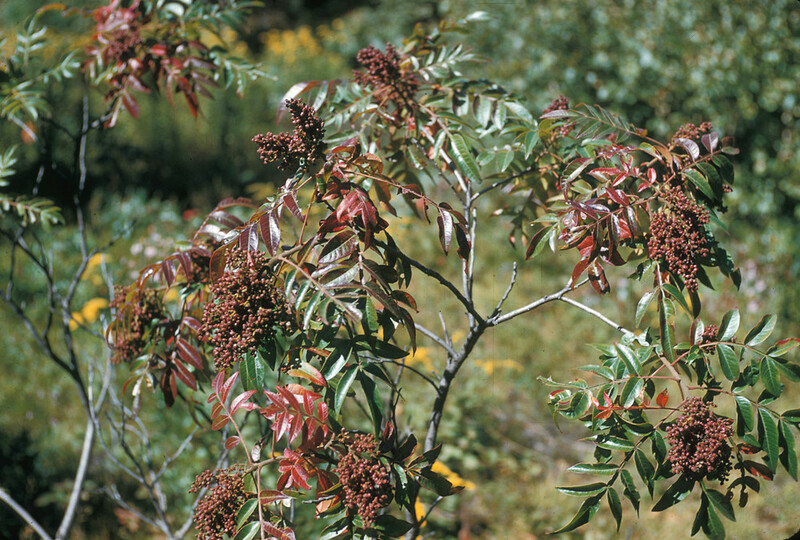 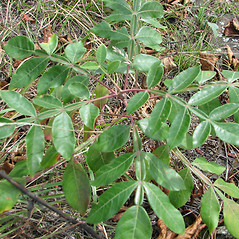 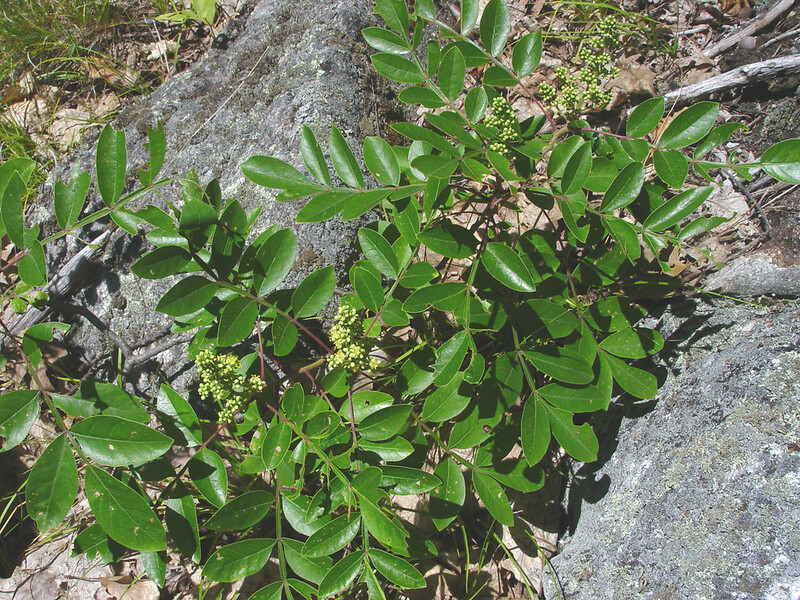 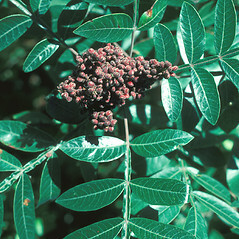 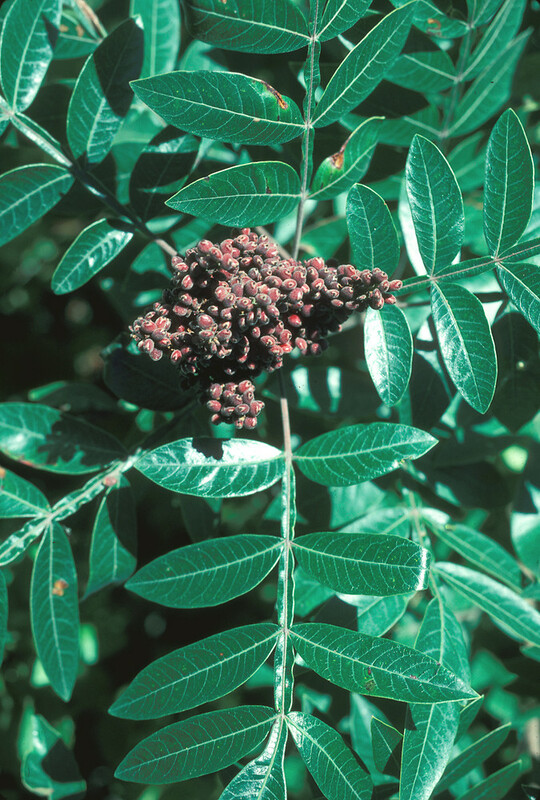 Winged sumac is tall and forms dense thickets, topped by clusters of astringent berries that remain on the plant through the winter. 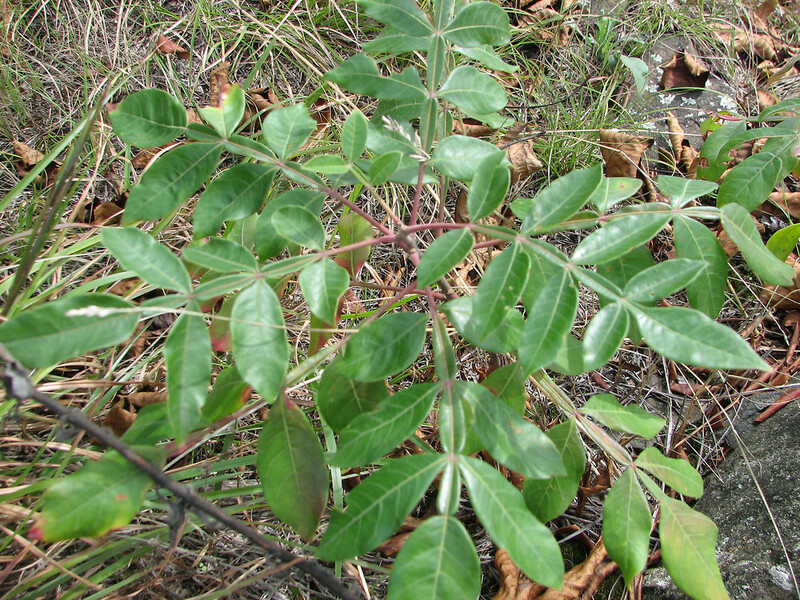 It thrives on poor, dry soils. 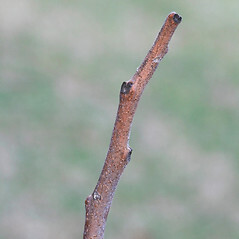 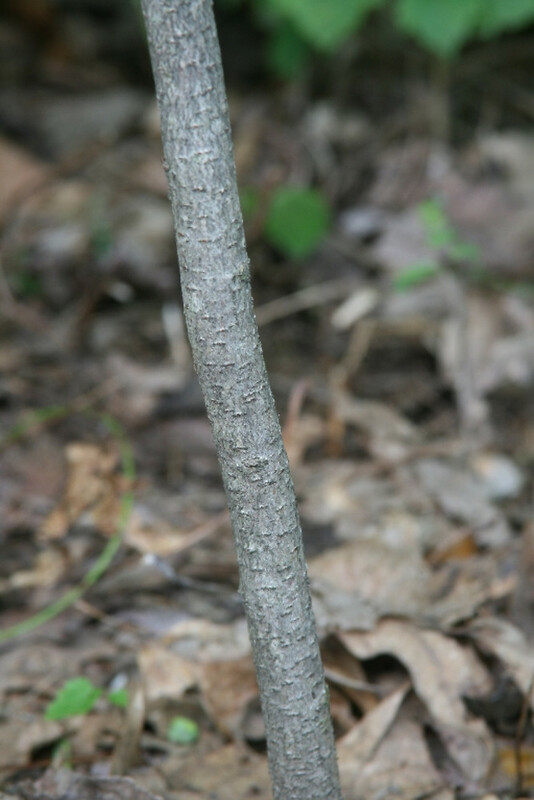 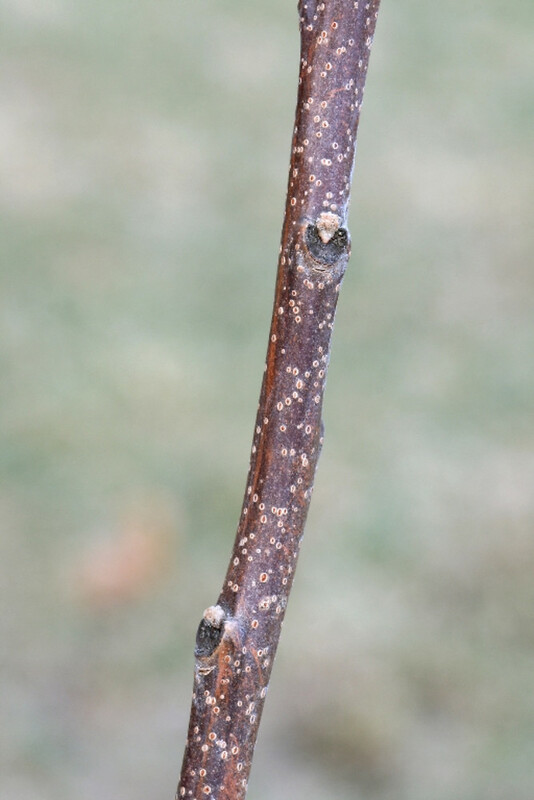 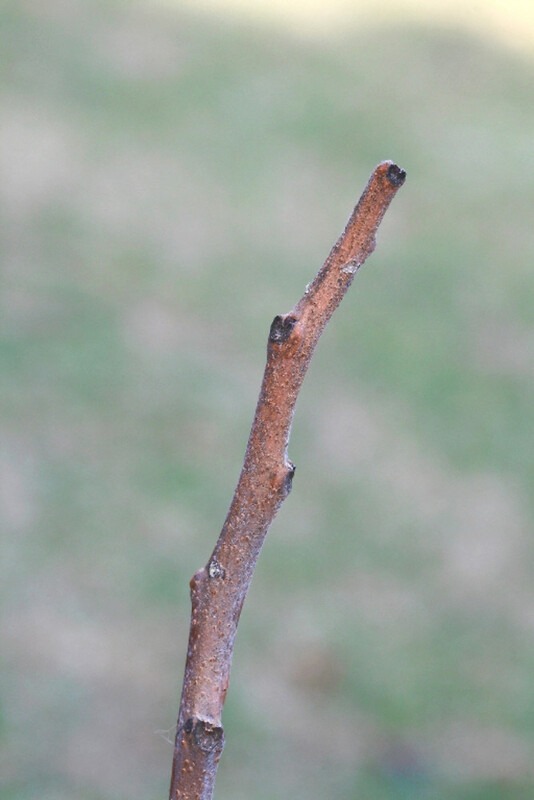 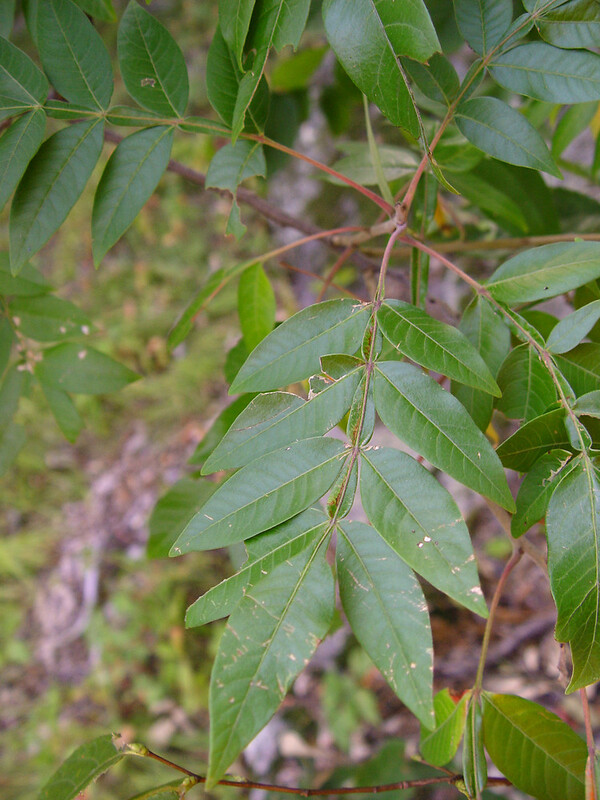 Chock-full of tannins, the bark and leaves have been used in the tanning industry. 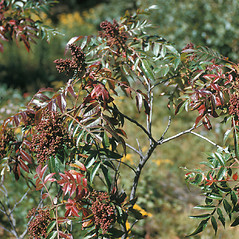 With attractive red fall foliage, the species is sometimes planted as an ornamental. 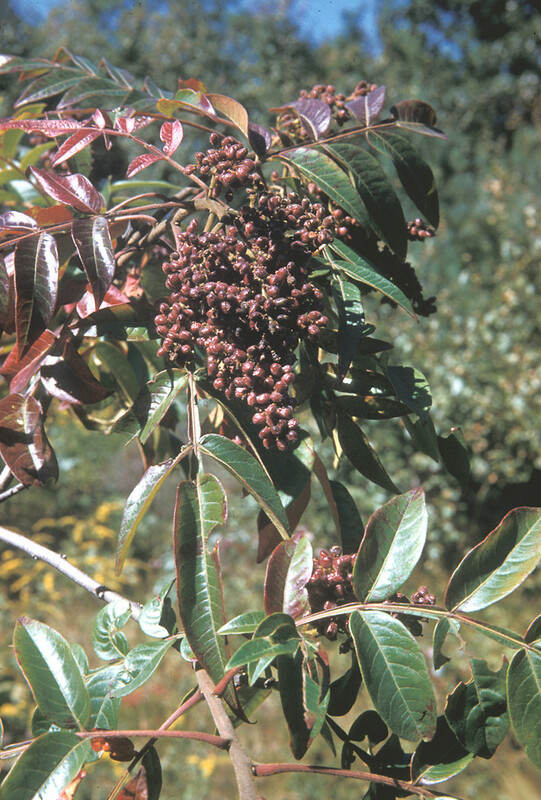 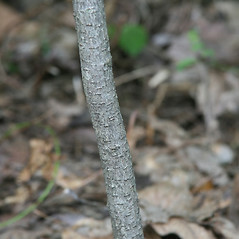 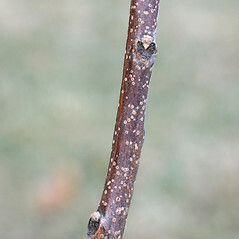 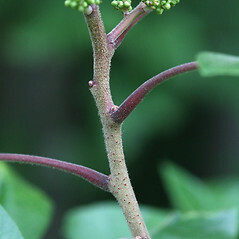 Thickets of winged sumac provide cover and can function as deer yards. 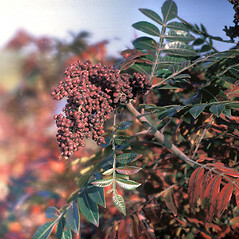 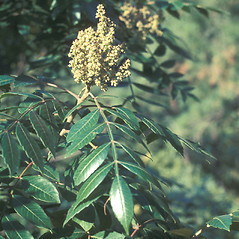 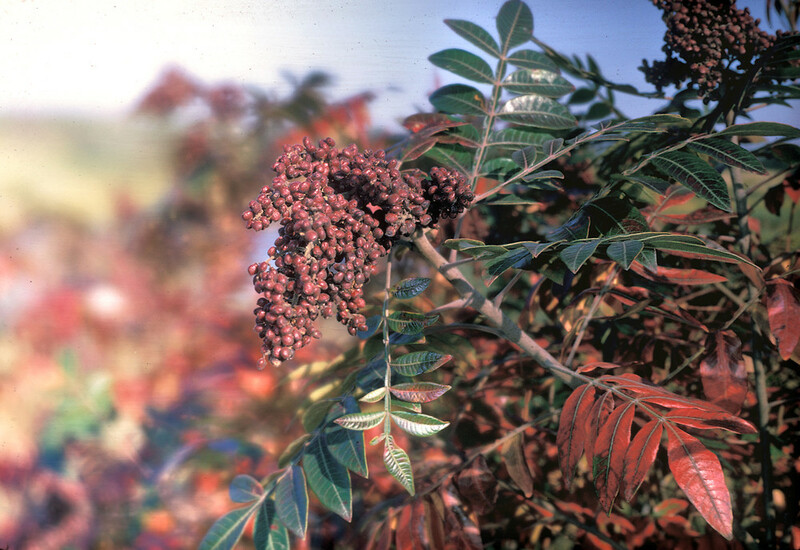 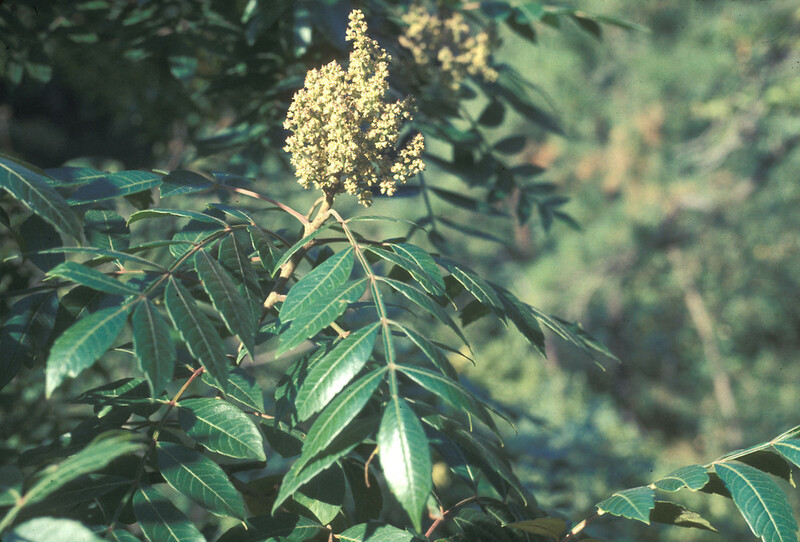 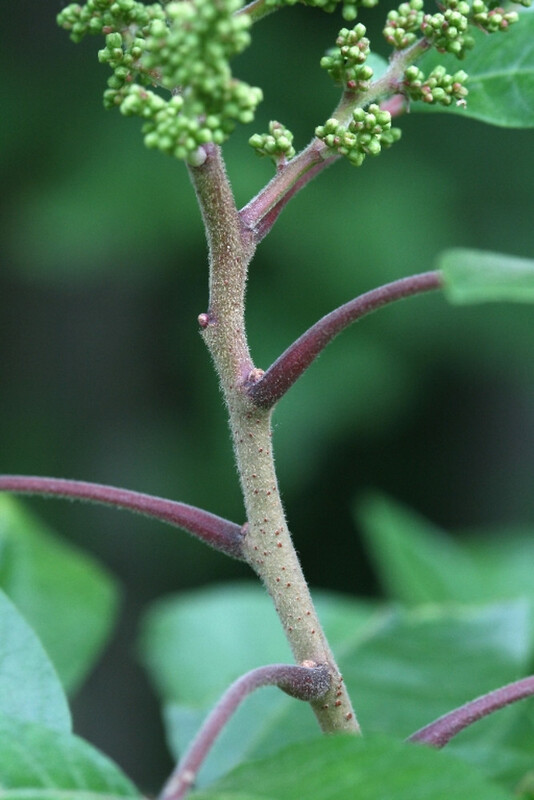 Our variety is Rhus copallinum L. var. 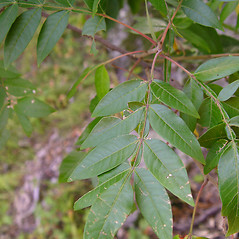 latifolia Engl. 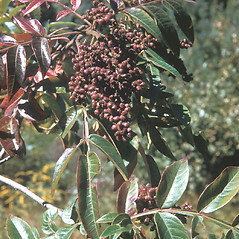 winged sumac. 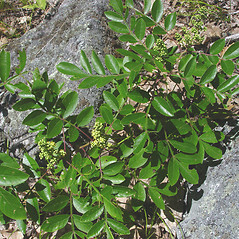 CT, MA, ME, NH, RI, VT. Woodlands, sandy fields and openings, roadsides.